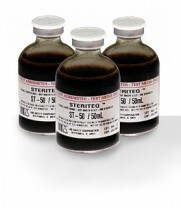 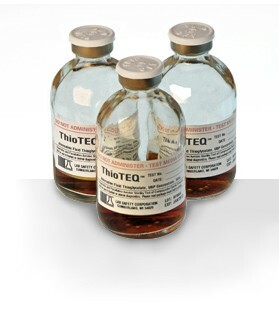 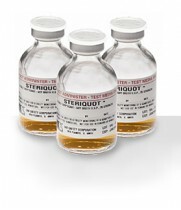 ThioTEQ is a USP <71>-compliant anaerobic assay used as a pharmacy-friendly sterility test for anaerobic and facultative aerobic microbial contamination using a 50 mL sample of the end-product. 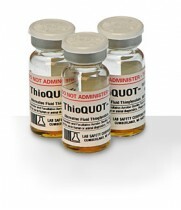 The ThioTEQ vial incorporates an oxygen-free gas sheath to maintain the required anaerobic environment within the test vial. 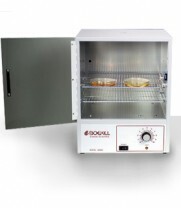 Incubates in a conventional aerobic incubator at 25-30 degrees C.